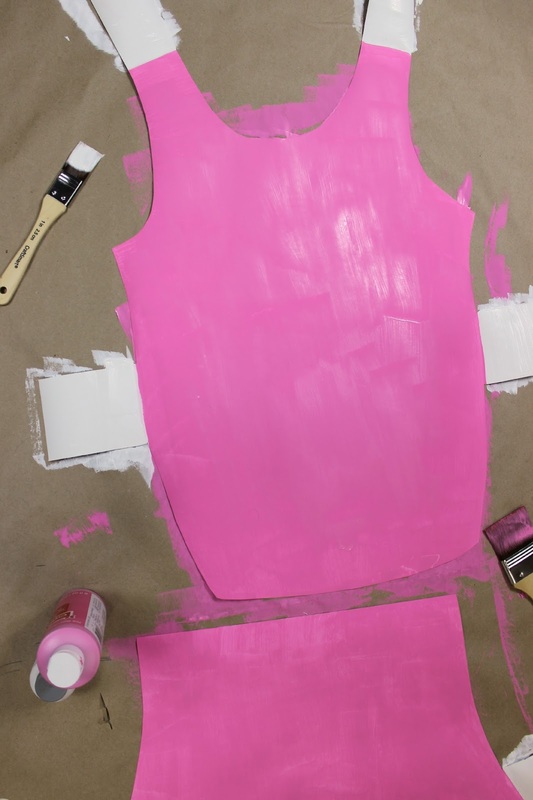 In keeping with the October theme, I thought it might be fun to share my DIY costume process. 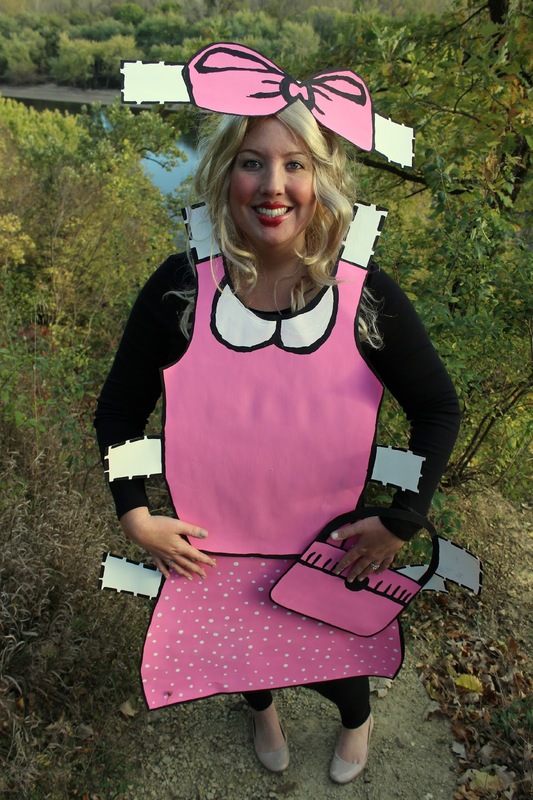 This year I decided to make a paper doll costume. 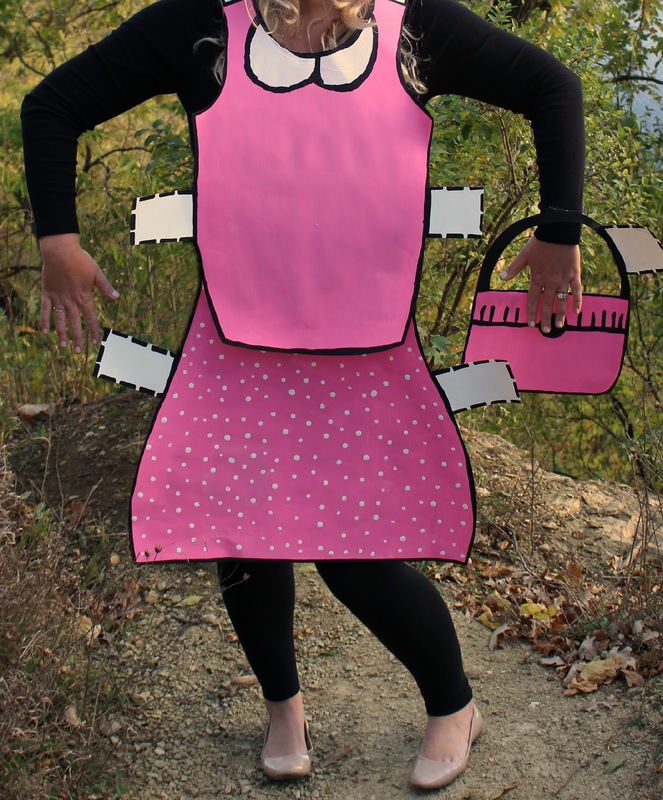 The best part about this costume is that it cost me less than $10 to make! Plus I knew that it would have that "wow" factor I am always going for. 1.) 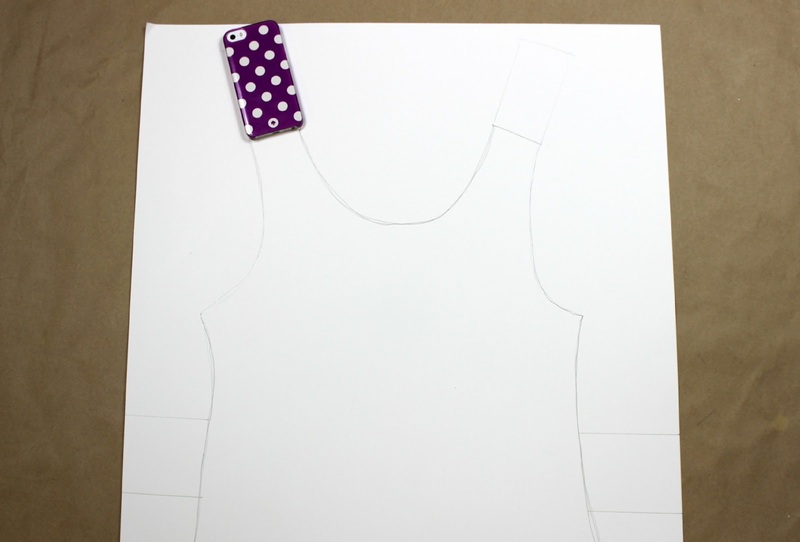 Trace a favorite dress or top onto your poster board. Don't forget to trace the tabs. My cell phone was the perfect size for the tabs that I wanted. 2.) 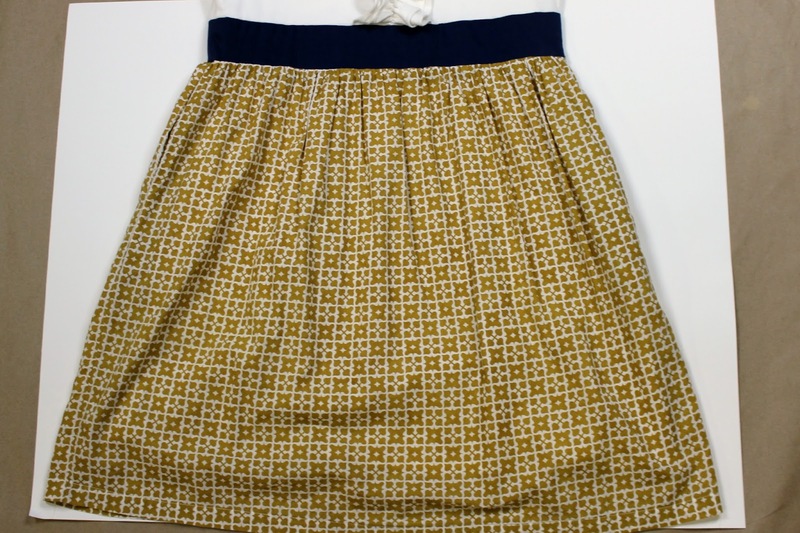 Next, trace the skirt (adding the tabs along the edge). 3.) Draw out your accessories. I decided that I wanted a bow for my hair and a purse. I drew them both freehand using a pencil so I could correct any mistakes. I also added tabs on these. 4.) 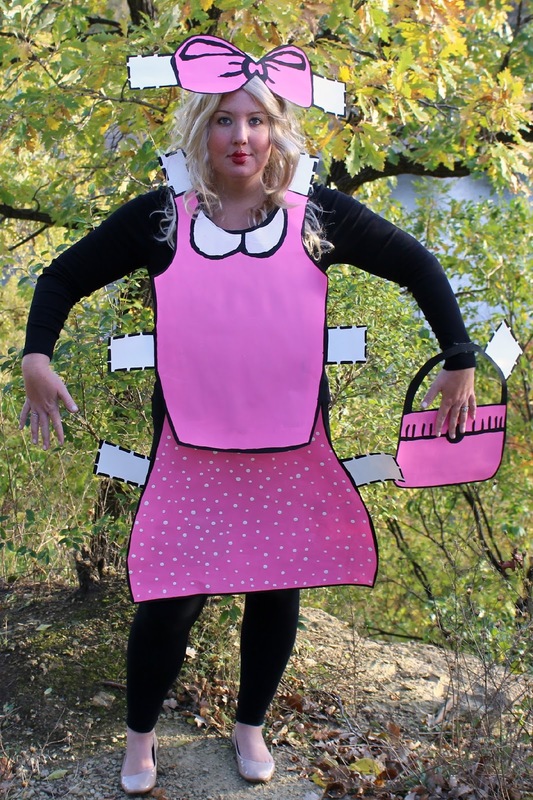 Cut out your shapes. 5.) 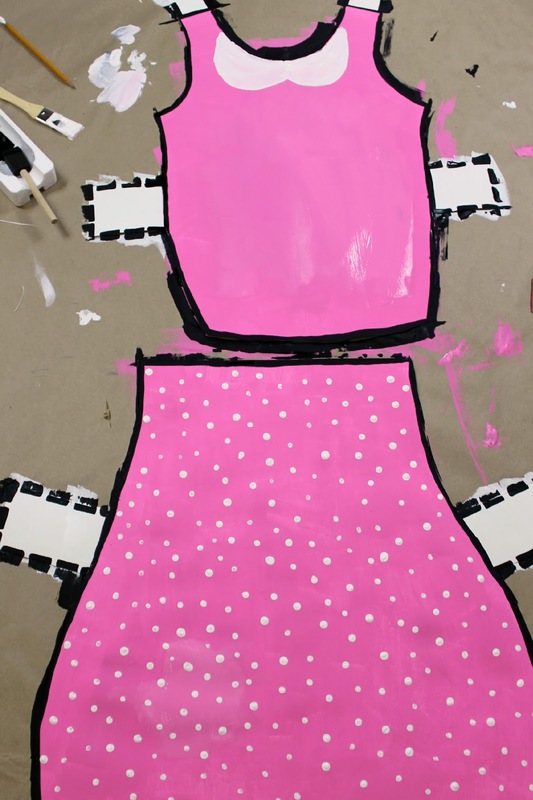 Paint the main color onto your dress. I ended up painting my tabs white because I wanted the texture to be consistent. 6.) 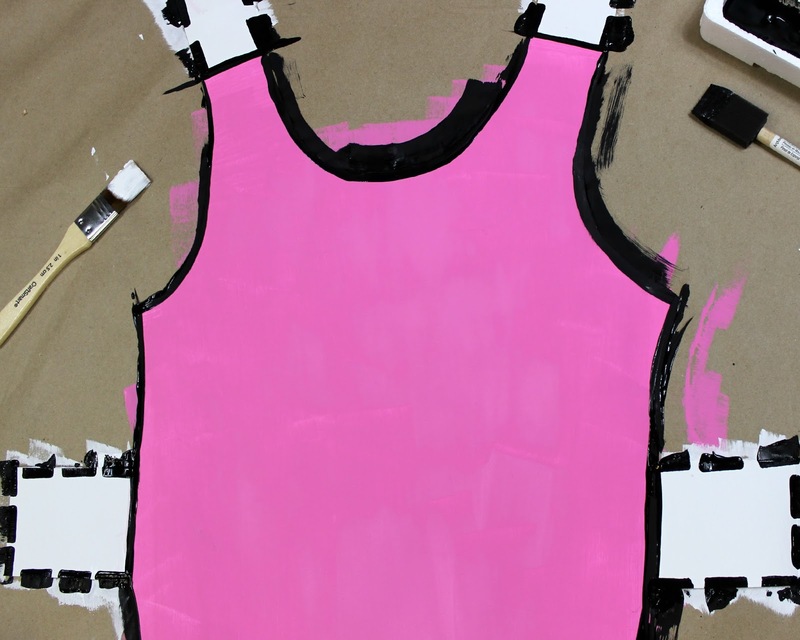 Once the paint has dried, add an outline and perforations around the tabs. 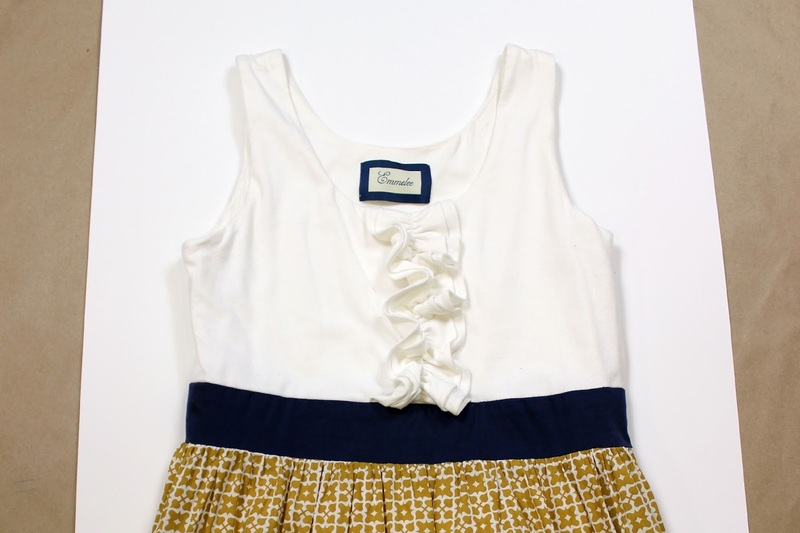 I added polka dots and a Peter Pan collar. I think the added details really help everything come together. 7.) 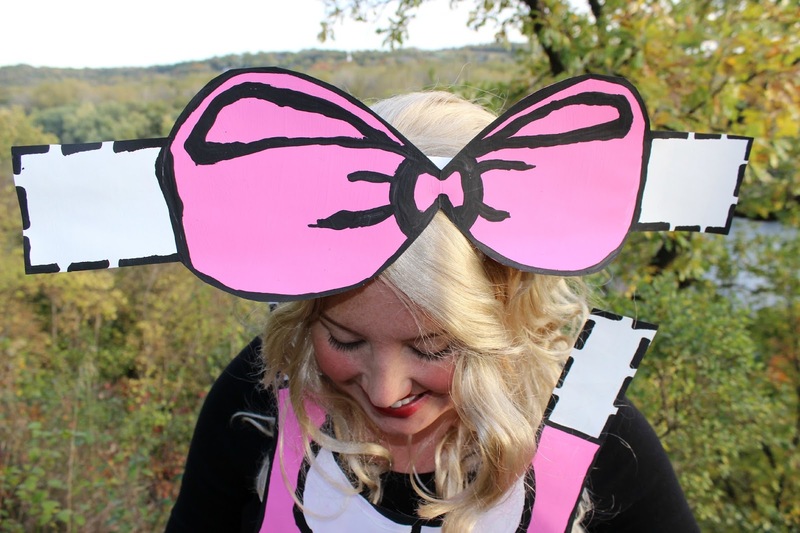 Attach the bow to your headband using hot glue. 8.) 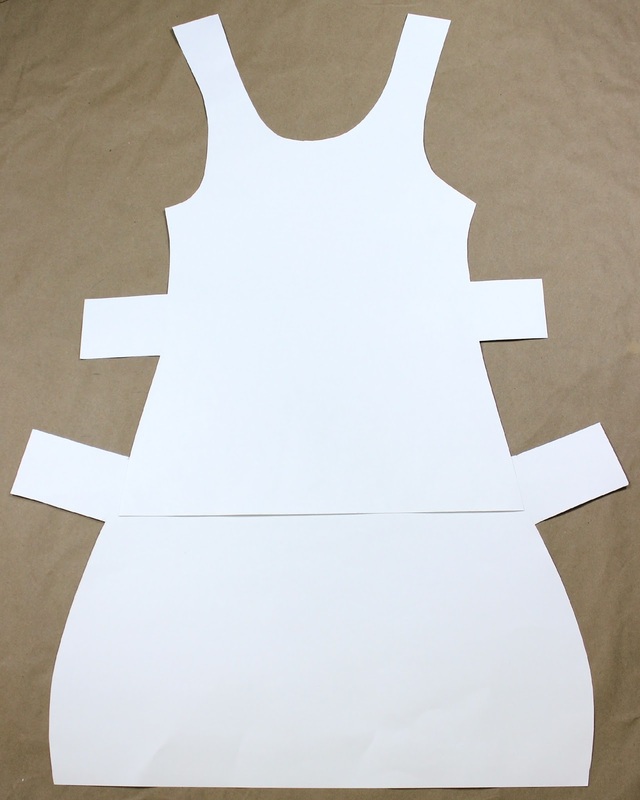 Attach a piece of Velcro to an old tee across the chest (for the top) and across the stomach (for the skirt). This makes it super easy to take the costume on and off. 9.) Finally, accessorize with a wig, rosy cheeks, and pink lips. 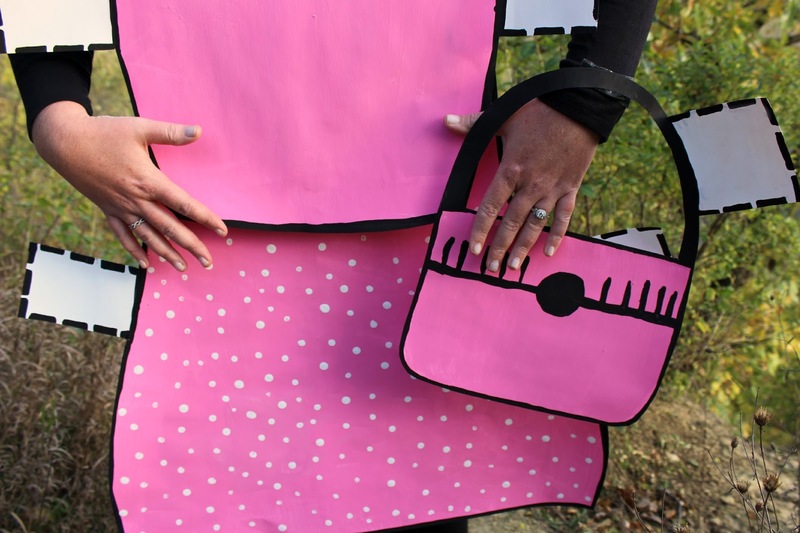 Now you are dressed to impress this Halloween!